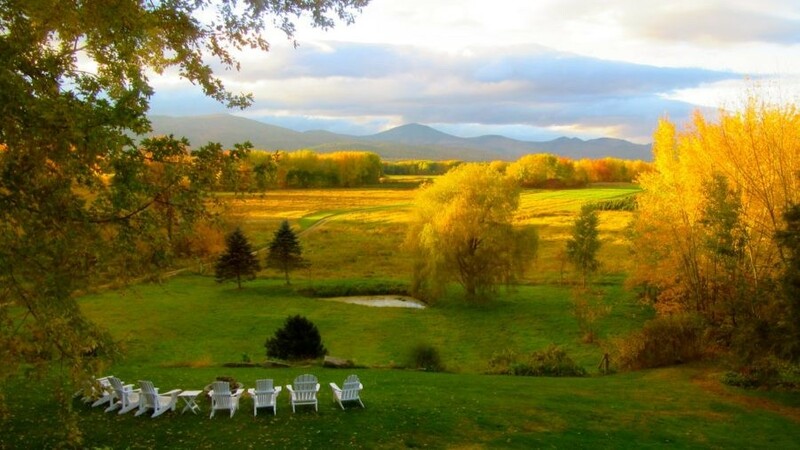 WHY GO: There’s really not much to tiny Fryeburg ME, a town, if you could call it a town, that sits on the New Hampshire border in the foothills of the White Mountains. 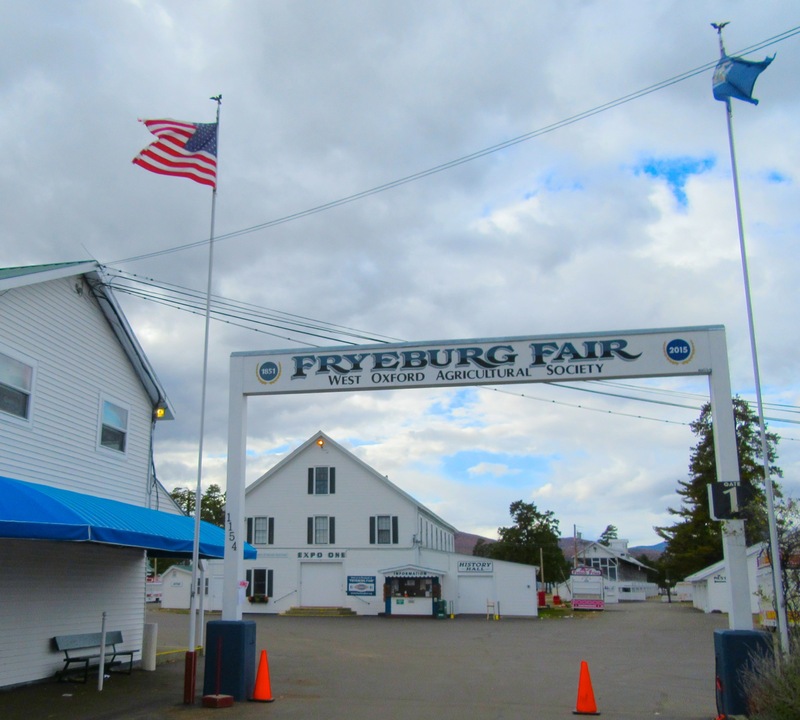 There’s the famous Fryeburg Agricultural Fair (early October), Fryeburg Academy, a few consignment and pizza shops, and that’s it. 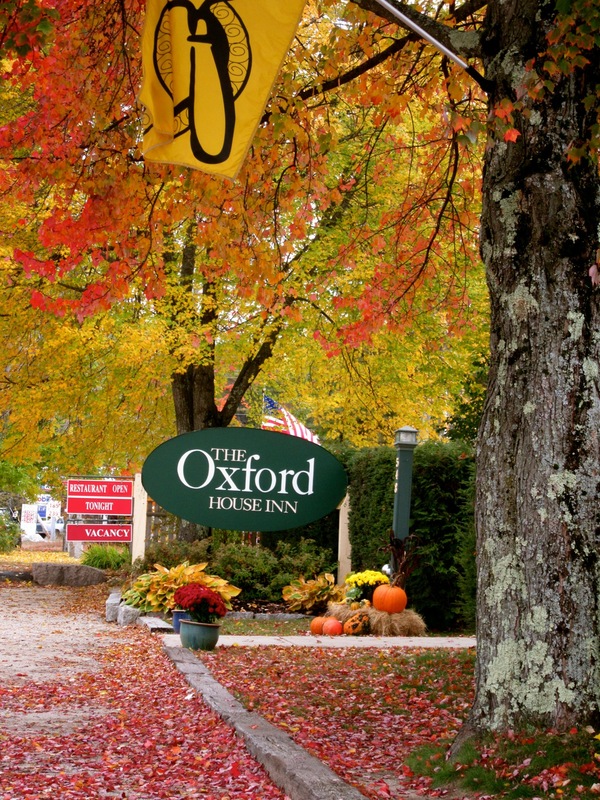 But there is also one true “Destination Inn” – the Oxford Inn. Yes, there are people who come to this most western part of Maine just to stay at this lovely place. Read on, and you’ll see why. KAYAK/TUBE: Saco River Canoe and Kayak. You can spend a lovely day on the picturesque Saco River and have folks at this outfitter drop you off and pick you up. Check website for rental and transport costs. SEE: Fryeburg Historical Society Museum. 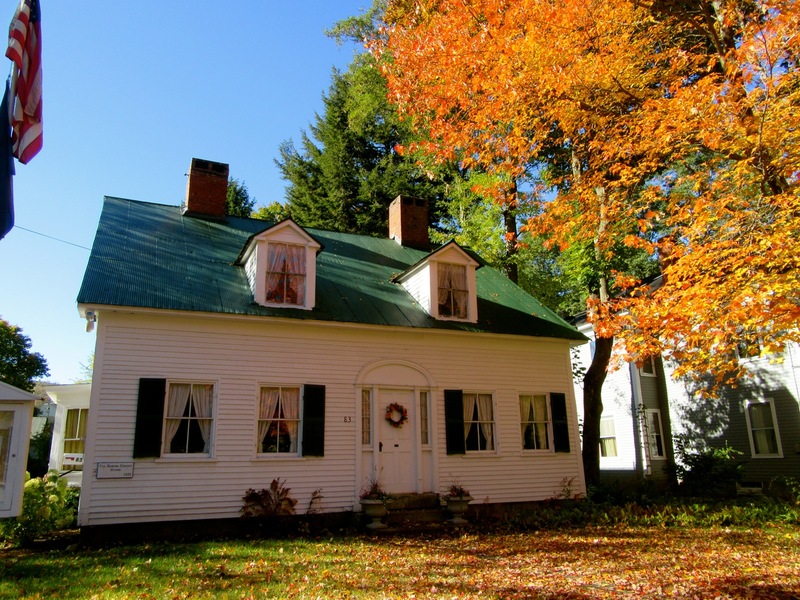 Even when not open, it’s a lovely home, especially in the fall when surrounding trees burst into color. DRIVE: 30 Miles on Route 113 North (or South from Gilead). This undulating mountain and river road is closed in winter, which gives you some idea of how rustic it is. But this kind of rustic is mindblowing in September and October when the canopies of trees flame into color. 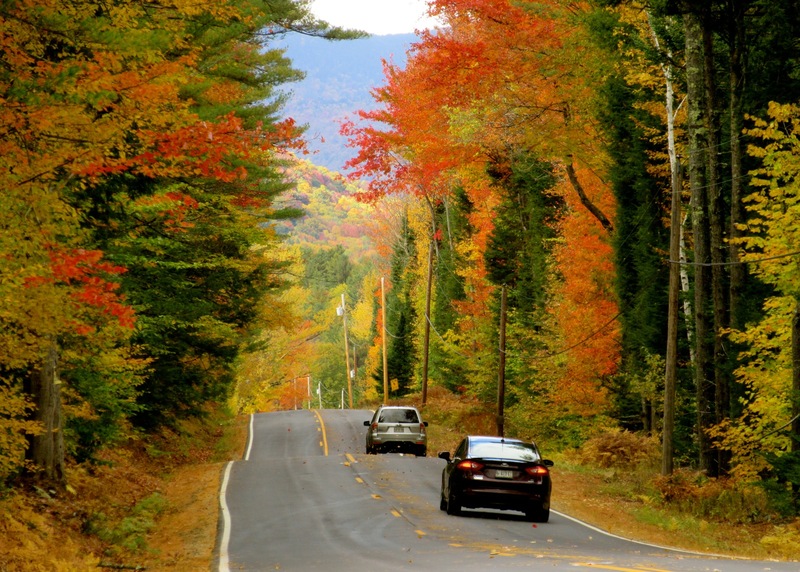 You’ll be weaving in and out of New Hampshire through Evans Notch on this National Scenic Byway, with breathtaking views of the White Mountains. 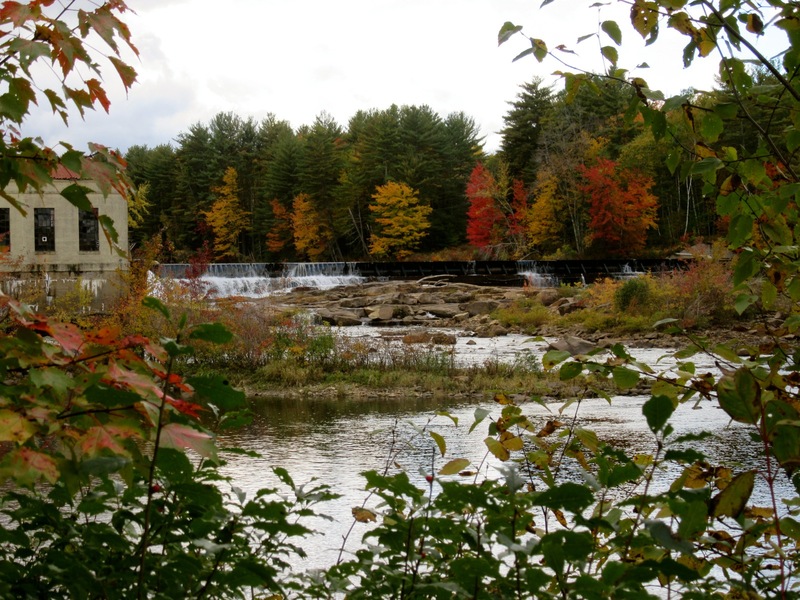 This route is perfect for those coming from or going to Bethel, ME. 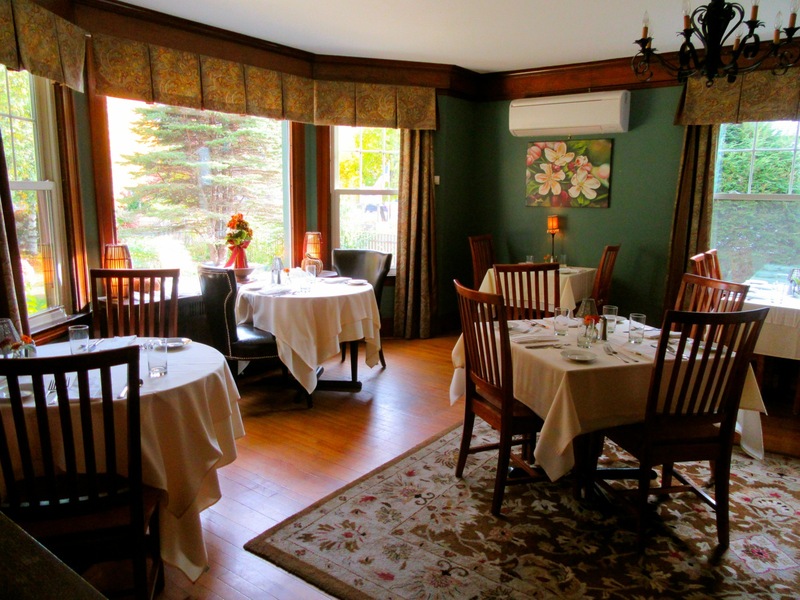 EAT: Oxford House Inn. This is inn dining at its best. Inventive, well executed and perfectly plated, you can’t go wrong with anything here. 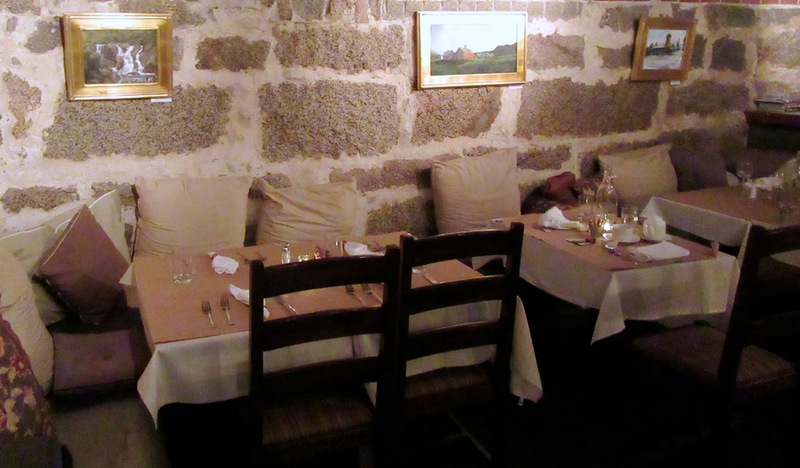 Candlelit, white linen tables, and surrounded by either lovely art or a view out back to equal the food, its no surprise that the chef in the kitchen is Culinary Institute of America grad, chef/owner Jonathan Spak. Bowls, like the Butternut Squash Fried Rice ($12 for half portion, $22 full) are comfort food plus. The Signature Red Hook ESB Battered Buffalo Shrimp ($14) – a killer appetizer – Steak Frits priced at just $19, and Sesame Crusted Chicken Breast ($26) all hit the mark of culinary excellence. But I wanted to order a second (and then probably third) helping of the Bibb Lettuce with Roasted Shallots, Roasted Grapes & Cashews in a hint of sesame dressing. Outstanding. 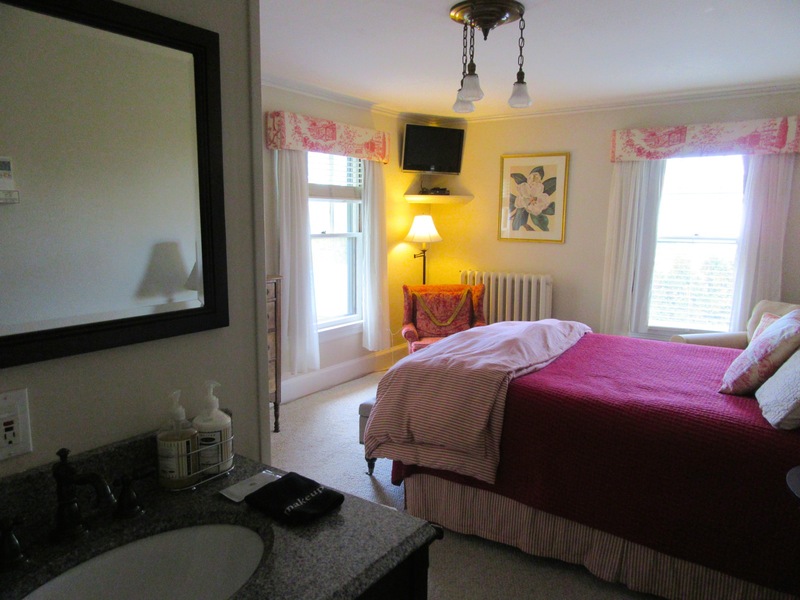 STAY: Oxford House Inn. What a wonder. From the outside, the inn building itself is nice, but nothing to go gaga over. Rambling, old, and sturdy, it’s like thousands of other inns across the Northeast USA. But walk through the door and a) one receptionist at one small table greets you like family, b) redone rooms are pristine and elegantly modern, c) restaurant space is upscale, eye-catching, and d) views overlooking farm fields and mountains beyond will take your breath away. 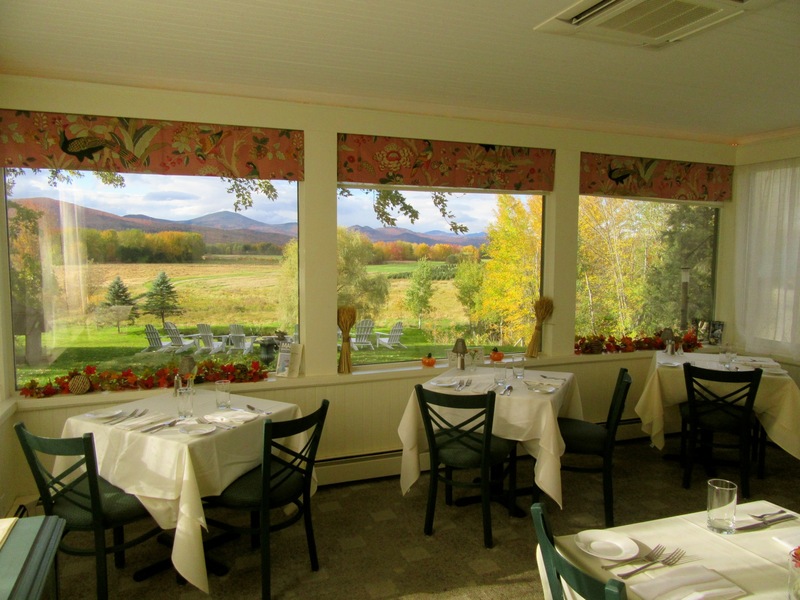 In fact, it is this view – and the exceptional food served here – that keeps guests coming back, and places Oxford Inn squarely as a Destination in and of itself. There are only four guest rooms and they differ in size, but all have an upscale-modern-country, delicately designed touch – not done to the nines, but just so. Since this inn wasn’t built with a bathroom in each room, some (like mine) feature a toilet and shower in a closet-sized space, while the granite sink is near the bed. Somehow, this is not a determent, especially after a dinner downstairs in either the basement pub or main dining room. The feeling is “cozy and snug” rather than cramped. There are actually two restaurants here – the main restaurant mentioned above, and Jonathan’s Pub on the lower level, which is more lively with an upscale pub menu. Both showcase Spak’s flare as chef. In the morning, breakfast is complementary with the room – and the cuisine is just as impressive as it is at night. Choose from the likes of Maine Buttermilk and Pumpkin Waffles, Stone Wall Farm Organic Eggs Any Style, and fancier fare. It’s all good. Dine on the enclosed porch and you might have company. There are several birdfeeders right outside the window, an amusing distraction. Besides the incredibly good restaurants, the most glorious amenity here is the view out back. I cannot overstate this enough. 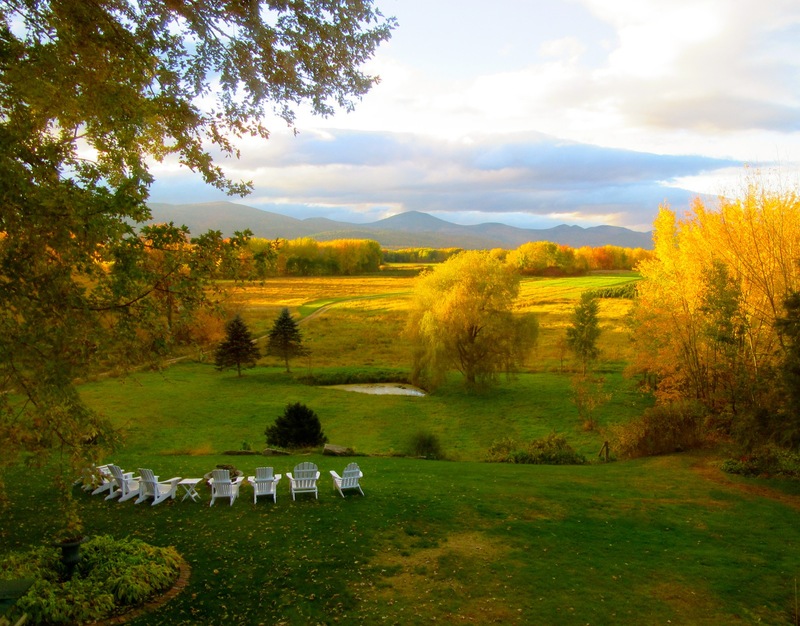 It is so fantastic, the inn owners have set out an array of Adirondack chairs, lighting up the fire pit after dark when guests can just stare and breath deeply. It’s like harking back to the early 1900’s – “taking the cure” – and worth a drive from anywhere. 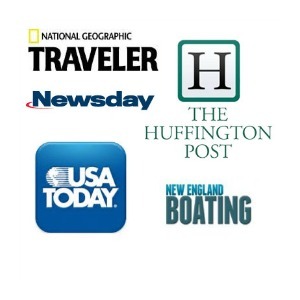 Rooms from $119-$185 include a full gourmet breakfast cooked to order, free wifi, parking.